On Monday 20th October we took our Explorers for a rock climbing session at Awesome Walls indoor climbing centre in Sheffield. The previous week we had gone through some of the theory behind climbing and this week saw the practical application of what they had learned. For those who wish to persue climbing as a hobby we plan to take a a small group out to do some climbing on real rock in the Peak District and help them earn their Climber badge. Well done to team No Hopers and team Dom Joly who both took part in Xploreration 2014. 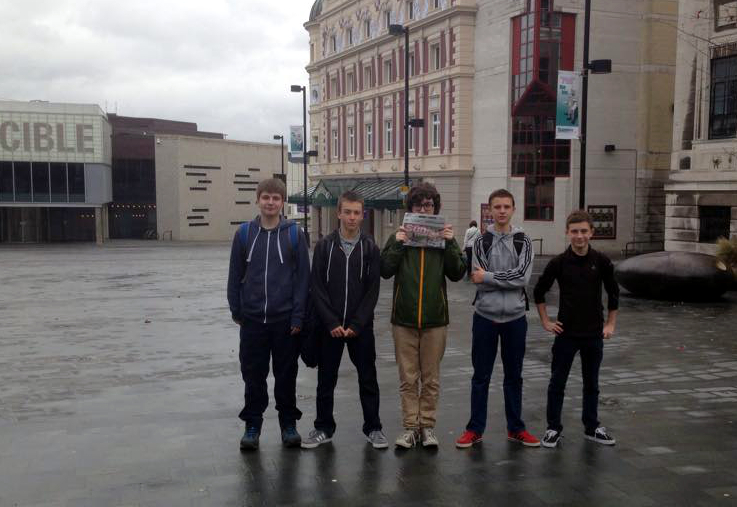 Xplorerartion is a county wide activity in which teams of 4 -6, using public transport and their feet only, have to visit as many places as possible from a list of ‘sites of interest’ around South Yorkshire, gaining points for each site visited. The more awkward a site is to visit via public transport, the more points it’s worth. 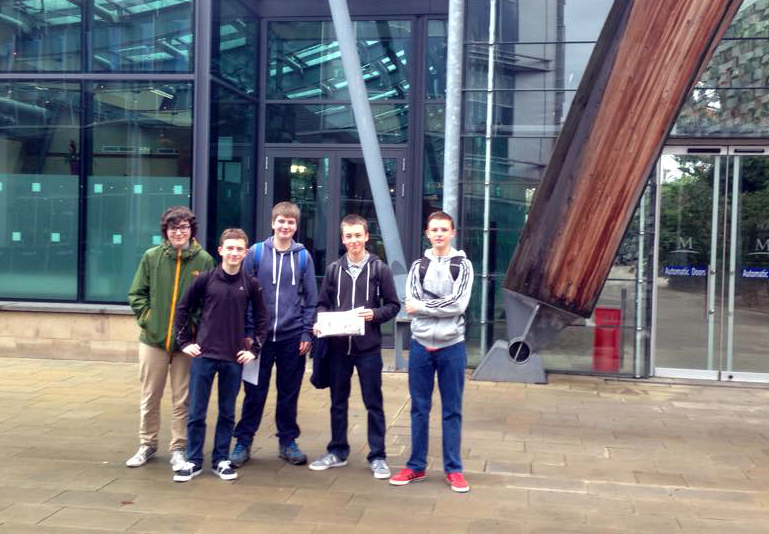 Congratulations to team No Hopers who came an impressive 3rd out of 14 teams. On saturday 11th January Hillsborough Explorers spent the day volunteering with the Eastern Moors Partnership helping to surface a section of the concessionary bridleway on Big moor. The new bridalway will make it easier for walkers and cyclists to get about over some of the more boggy areas of the moor. The day was organised as part of our work towards our Environmental Partnership Award. 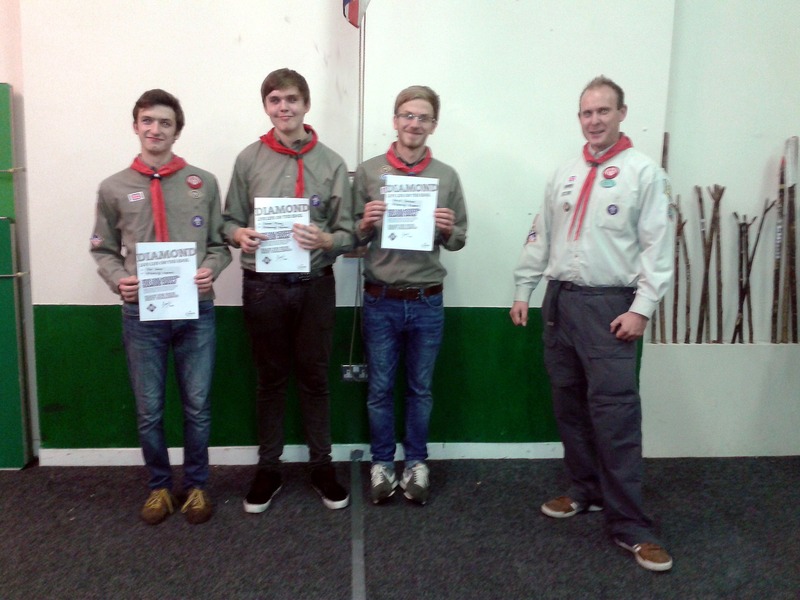 Well done to Joe, Connor and David (and Gabe) for achieving their Chief Scout Diamond Awards this week. 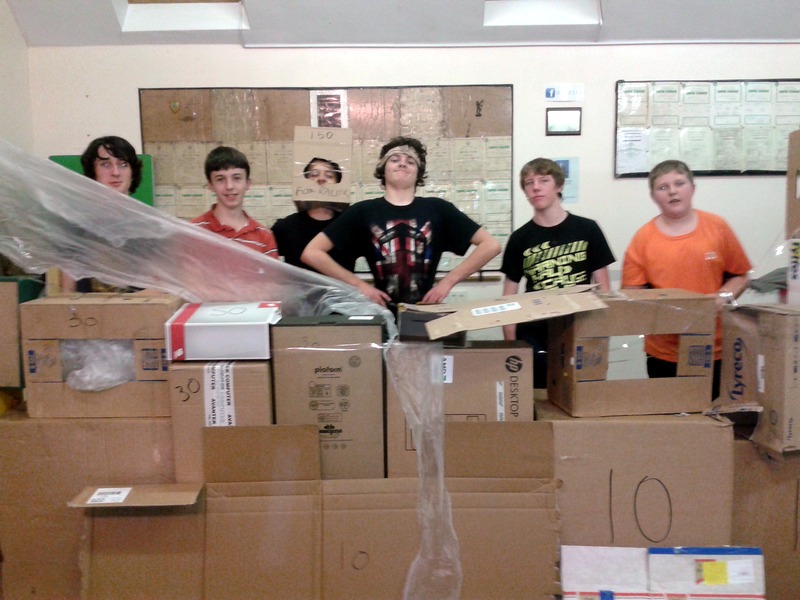 They finished a 3 day expedition in the North York Moors in August to compete the requirements for their Diamond Award, the second highest award in Scouting. This week saw two rival teams, The White Riders and The Nazguls, battle it out for control of our HQ. The Nazguls routed the opposing faction, reducing their fortifications to rubble, thereby securing their grip on the HQ. The Explorer section has grown considerably over the past year and this September we welcomed our newest batch of recruits, bringing our total membership to 20 Explorer Scouts. We have also welcomed several new members to our growing leadership team. 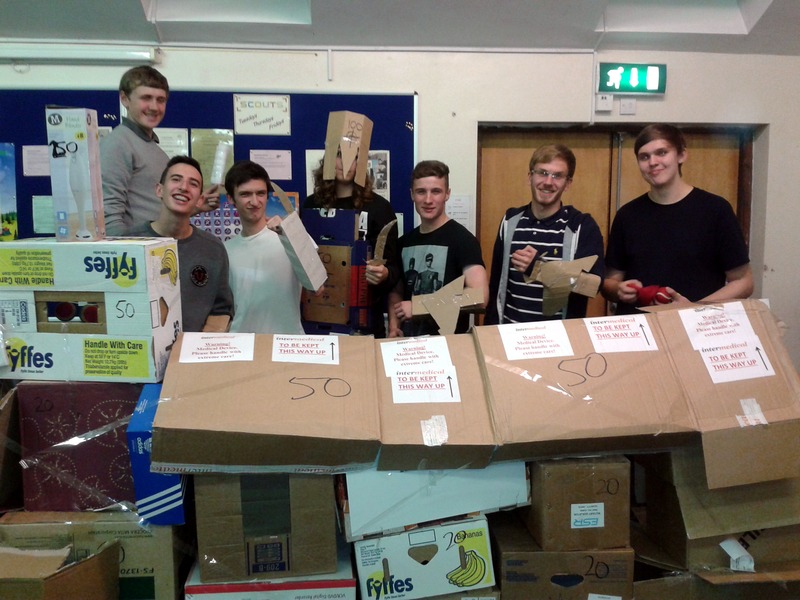 Recent activities have included our annual curry cook-off competition, Mexican theme night, QI quiz night, indoor golf, Aerial Extreme, raft building at Underbank Activity Centre and a night hike in Greno Woods. In August, Hillsborough Explorer Unit joined 1,500 other Scouts from all over Europe to take part in Walesby World Experience 2013. This fantastic international camp combined traditional Scouting activities such as zorbing, climbing, air rifle shooting and laser quest with live music performances and days out to create a truly memorable experience for all involved. We continue to work towards our Scout and DofE awards with several expeditions having taken place in North Yorkshire and the Lake District over the past 12 months. By this time next year we should have a number of our members achieving their Queen’s Scout Awards, Scouting’s highest honour. As the section continues to go from strength to strength this year promises to be our best yet.